New TRX Strong System Suspension Trainer might look the same as cheap model out on the market, what you don't see is the quality. 99% that are sold online by auction sites are not original TRX . Be aware of FAKE TRX Suspension Trainer being sold on various Auction sites. A TRX Home Suspension Trainer is on display for comparison. Come to our store to see the difference for yourself. Get everything you need to start building a better body at home, or anywhere else you go - get stronger, build muscle, lose weight and improve flexibility. 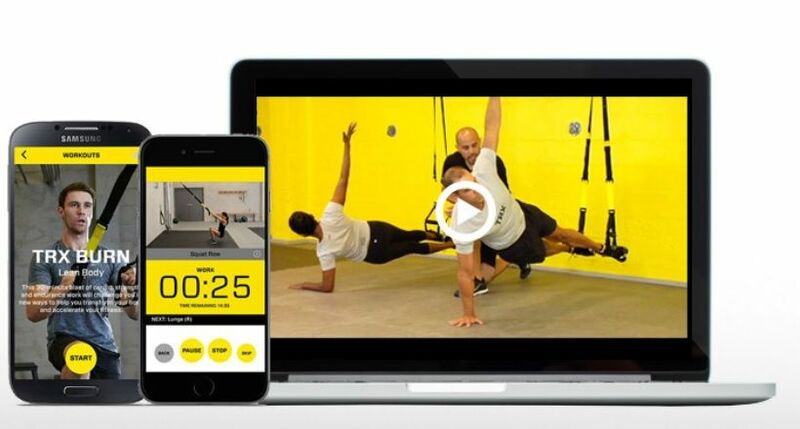 TRX Suspension Trainer Workout anywhere with this lightweight, portable and scalable training system to earn the results you want on your schedule. TRX Get Started Guide Set up instructions to get you started and workout cards to keep you going. TRX Door Anchor Its easy to train at home when you set up your TRX Suspension Trainer straps on any sturdy door. 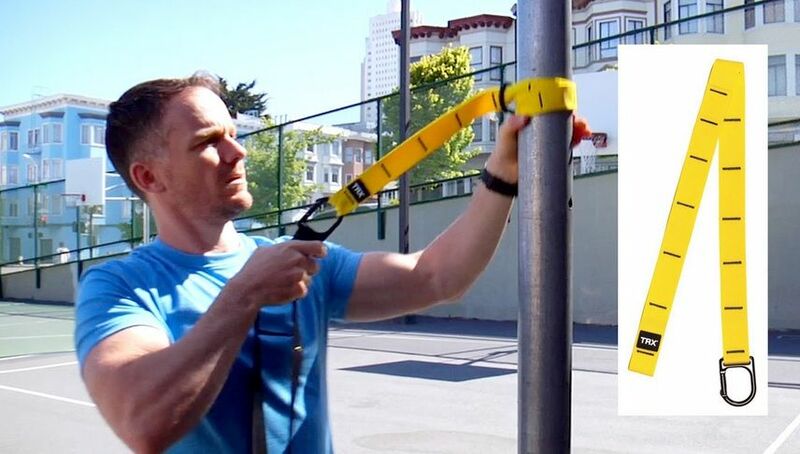 TRX Suspension Anchor Take your training outside when you set up your TRX Suspension Trainer Straps, anywhere. TRX Door Placard Train safe when you hang this Workout in Progress placard on your door. TRX Wrist Band Show your friends how you train when you wear this TRX wristband. TRX Mesh Carry Bag Take your TRX Suspension Trainer straps with you, anywhere, in this convenient storage bag. Included with your New TRX Strong System Kit purchase are six free workouts. There are five shorter 15-minute modular workouts that focus on specific muscle groups. Also included is a longer 30-minute total-body workout.